“Be wise and prudent with your money” This advice is generously dished out to anyone who will listen. But what is “prudent”? 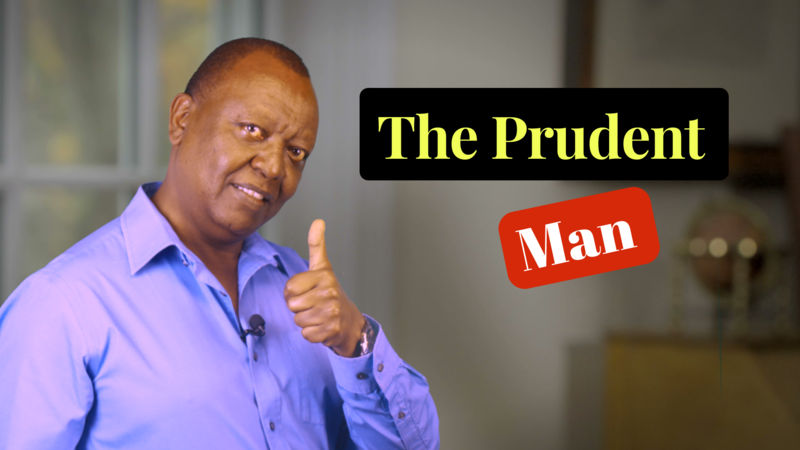 In this video, we look at some irrational financial behavior and how you can avoid it and become prudent with money. Please CLICK HERE to watch on You Tube. Good financial management is, to a large extent, founded on the behavior that can be expected of the “Prudent Man”. A prudent man would invest their money bearing in mind his needs, the need to preserve capital, and the amount and dependability of income. Unfortunately, many people do not exercise prudence in their financial affairs and therefore end up suffering needlessly. A branch of study called “behavioral economics” combines psychology and economics can help us try to understand why people make irrational decisions with their money. Mental accounting is one strange thing we do with our money. This refers to habit of valuing money according to where it comes from. A shilling is a shilling, isn’t it? Or is it really? Even casual observation confirms that most people treat different shillings differently. Are you a Sacco member? What did you do with the money you got as a dividend from your Sacco? What about your end year bonus? Did you get an income tax refund? What did you do with it? I can bet you would not spend your hard earned salary the same way you spent these windfalls! People tend to spend such money very casually in ways they would feel very guilty were it from their salary or savings. This is irrational because money is money, no matter where it comes from and should not be spent frivolously just because it was unexpected. Please CLICK HERE to watch on You Tube. The Sacco member would benefit a lot in the long run if they purchased more shares with their dividend rather than spend it carelessly. Had they reinvested the dividend, it would have subsequently earned a return, which in turn would also earn, the net result, compound growth of the member’s shares. If the Sacco pays eight percent dividend, a member who reinvests their dividend would find her shares doubling in nine years without contributing a single shilling more. The Sacco member who wastes away their dividends will never have more than their savings in the Sacco. Since the purchasing power of money diminishes over time due to inflation, such a member is losing in real terms. Another way in which we let our mental accounting lead us to irrational decisions is by holding on to the history of the asset. Many people who inherit property fall into the trap of treating their inheritance as sacred. Even when an inheritance does not fit with their needs, they stubbornly refuse to liquidate and use the proceeds to sort out their needs or invest in more appropriate assets. Ironically, this defeats the intended purpose of the inheritance; it was meant to help the inheritor and their family have a better life. If selling that inheritance of a farm and investing in Unit trusts better matches your needs, go right ahead and sell. It is irrational to feel guilty about doing so. Please CLICK HERE to watch on You Tube. Another common mistake is to ignore the effect inflation. Jane, Mary and Peter each bought a house for ten million shillings and sold it after one year. The year Jane bought hers, prices of goods and services in the country increased by ten percent. She sold her house for 12 million 6 hundred thousand shillings. In Mary’s year, priced declined by ten percent but she managed to sell her house for 7 million 4 hundred shillings. For Peter, prices remained stable and he was paid 9 million 8 hundred thousand shillings. Who faired the best out of the three? Please let me know in the comments below. Many individuals also fall victim to the sunk-cost fallacy. Often you will find someone who has invested in a business that is doing poorly and is obviously not viable refusing to face that fact. Instead of cutting their losses and shutting down to prevent more losses, such a person may sell assets or even borrow to put money into the business. Many people have actually ended up bankrupt because of throwing good money after bad. Our attitudes towards money can sometime lead us to making decisions that are against our best interests. It is therefore good to be aware of the money mind games we play on ourselves and make sure our actions are rational. In short act like the prudent man, or woman! Please CLICK HERE to watch on You Tube.